Adele has joined Taylor Swift’s ranks in the war against the streaming culture of Spotify and Apple Music. Her latest album, 25, will not be available on these services. A record shop in Tennessee is to open at midnight in anticipation – but I shouldn’t expect any queues. The timing is auspicious: the Mercury Prize is about to be awarded, an annual prize which crowns the best album of the year released by a British or Irish artist or band. The continuance of such a prize and Adele’s stand against the emphasis on single tracks privileged by streaming calls into question the contemporary relevance of the album format as an artform. Think about it. When was the last time you listened to an album? Really listened to an album? Perhaps with headphones, not when jogging, or commuting? At least as far back as 2004, scholars have proposed that music listening is becoming more passive. Certainly, smartphones and streaming services have encouraged a more song-oriented way of music listening, with tech companies keen to develop the latest and greatest new music subscription service. It is also evident that YouTube is a particularly popular way of discovering and listening to music, which also suggests a disconnect from conventional ways of engaging in the album format. Notably, much of the music on YouTube is in breach of copyright. But a series of studies from Amanda Krause and colleagues directly challenge the notion that streaming means that music fans are becoming more passive. For instance, active use of shuffle and playlist functions was evident. The authors argued that the more control technology affords, the more complex the patterns of music listening. As reported by the Guardian, a quarter of all songs listened to on Spotify are skipped in the first five seconds. So people clearly know what they don’t want to listen to. But does this active interest in music extend to entire albums? Despite the appearance that digital music dominates the marketplace, the most recent report from The International Federation of the Phonographic Industry reveals that digital and physical revenues are matched. That is, people are still very much engaged in buying physical albums. But which albums are being bought is clearly changing: the top-selling album of the last year was the official soundtrack to Disney’s animated film Frozen. And the album isn’t as embedded in musical culture as we might think. If we rewind a few generations, it was all about singles. The album format only came along later, exemplified with the concept records of the 1970s. This was not an artistic step forward but merely a result of technological advancements, affording musicians more room to create longer recordings. So it’s intriguing that with digital music no longer imposing any time-related barriers, new releases still tend to last roughly around as long as they did when music was primarily consumed on CD. Despite an increasing lack of public interest in albums, the industry hasn’t changed its colours. Things do look as though they might be shifting, but this is happening slowly: recent releases from the likes of Godspeed You! Black Emperor and The Smashing Pumpkins (both known for long albums) suggest that musicians themselves are finally buying into the notion that their fans no longer wish to commit to an hour (or more) of auditory indulgence. But other artists including Radiohead have gone on to release albums after experimenting with the extended player format despite publicly expressing concern over the contemporary relevance of the album. And the Pixies confused fans by bundling songs from three EP’s into their comeback album Indie Cindy. The strategy was seen to be a “craven cash-in”. So perhaps the album is a lost and meaningless relic of the past. Stephen Witt goes so far as to argue that it is the album format that is killing the music industry – not music piracy. Reflecting on hip-hop in particular, he argues that albums with filler actually encourage piracy. Why pay for a whole album when you only like a few songs? 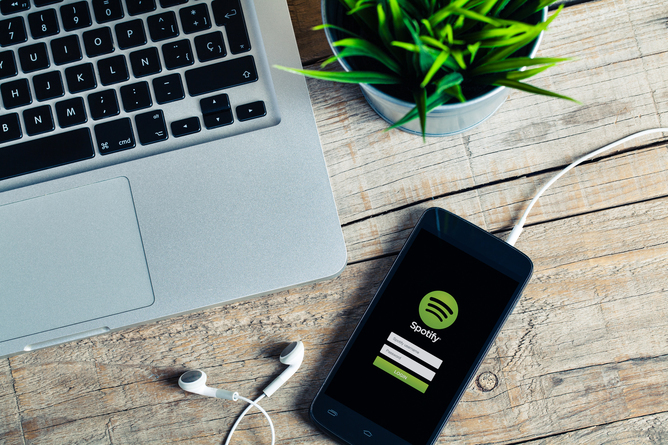 Legal services such as Spotify now cater for curious music fans, and Witt explains that though consumers are now less likely to pirate music, they are also less likely to buy albums. Recent research highlights that Spotify in fact decreases both legal and illegal downloads. And, the hoo-hah surrounding Adele’s new album suggests that some people have forgotten that music lives in other corners of the internet than just Spotify. Nevertheless the question marks hanging over the album format are wide-reaching. It has even been proposed that it might be more profitable to release songs than albums. But although the album format appears to be in crisis, it has appeared this way for over a decade. With the increasing popularity of playlists, it may be that people are strapping in for a different type of long haul, or that the criteria of a “good album” now varies. If there has been any major shift it has been the emphasis on live concerts rather than recorded music, with established musicians happy to give their albums away for free – this is an effective way of promoting live concert attendance, where most musicians now make most of their earnings. In any case, it is likely that musicians will continue to create albums and consumers will continue to listen to them simply because that is what was established many years ago. They will also continue to be celebrated with industry awards. And though the artists shortlisted in the Mercury Music Prize are likely to receive a boost in popularity, it will be Adele’s new album which will dominate, particularly considering her dismissal of streaming culture.